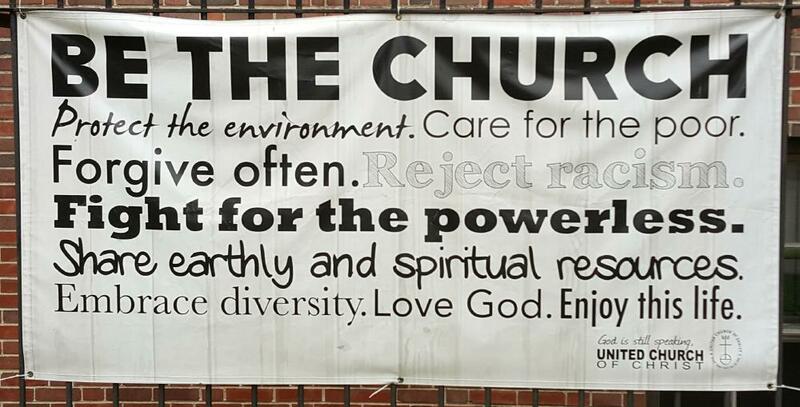 Walking home after Sabbath services this morning I noticed this hanging on the fence alongside the First Congregational Church in Madison. I agree with all the exhortations (at least my interpretations of them) but the priorities seemed a bit askew. Shouldn't "Love God" be at the top if the idea is to "be the Church"?